HUBBARD A Memorial Mass will be held on Saturday February 16, 2019 at 11:00 AM at St. Patrick Roman Catholic Church with Rev. Michael Swierz officiating for Laura May Cligrow, 90, who passed away in her sleep on Sunday, January 20, 2019. Laura was born on May 12, 1928, in Greenville, Ohio (Darke County), near Dayton. She was the daughter of Harry and Blanche Arvilla Boyd Amato. She was preceded in death by her husband, John F. Cligrow Sr. (in 1975) of Mechanicsburg, Ohio; her brother, Michael E. Amato, and her sister, BJ Jasper. Laura loved caring for children, was an avid gardener and enjoyed sewing. 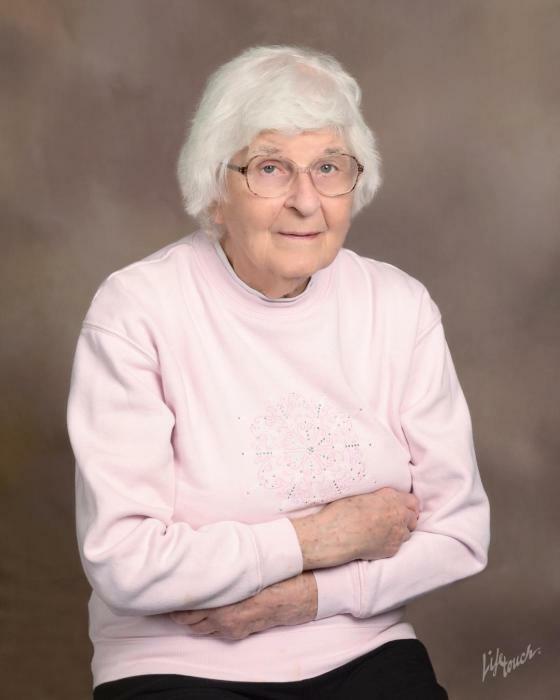 She was a long-time member of St. Patrick Church in Hubbard, Ohio. Laura worked many jobs throughout her life to support her family. She was an aid at St. Patrick School, a cafeteria worker and aid at Roosevelt School, a clerk at Ben Franklin, and a janitor at St. Patrick School. She will be greatly missed and remembered with love and affection by her entire family, including her brother Harry (Pat) Amato; her children: Jane Cligrow of Hubbard, Mary Jo Cligrow of Burlington, Kentucky, John Cligrow Jr. (Brenda) of Warren and James Cligrow (Tammy) of Columbus; her grandchildren: Ashley (Dave) Mesaros, Elizabeth Cligrow, Lauren Cligrow, Kimberlie Cligrow, Charlton Johns and Jesse Johns; her great grandchildren: Dominic and Mitchell Mesaros, Michael and David Mesaros; and her care giver, Melissa Urey. Family and friends may call on Saturday February 16, 2019, one hour prior to the Memorial Mass from 10:00 am to 11:00 am at St. Patrick Roman Catholic Church. In lieu of flowers, donations to the Altar and Rosary Society at St. Patrick Church would be appreciated. Please visit www.krcummins.com to view this oibutary and to send condolences to the family.